Courses in UNN » Below are list of undergraduate courses offered by the UNN (University of Nigeria, Nsukka). Gain access to UNN variety of Degree programmes recognized and approved by the National Universities Commission (NUC) in Nigeria. UNN offers courses in ADMINISTRATION, AGRICULTURE, ARTS, BASIC MEDICAL SCIENCES, EDUCATION, ENGINEERING, ENVIRONMENTAL SCIENCE, LAW, MEDICINE, PHARMACY, SCIENCE, SOCIAL SCIENCE and VETERINARY MEDICINE. We invite you to explore the full breadth and depth of UNN’s academic offerings. 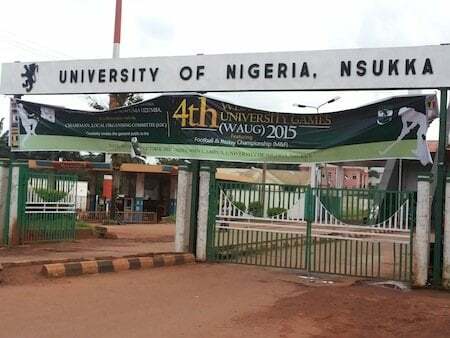 The University of Nigeria, Nsukka (UNN) is an internationally-recognized Nigerian university. The University of Nigeria has three campuses – Nsukka, Enugu, and Ituku-Ozalla – all located in Enugu State. University of Nigeria, Nsukka has been official accredited and/or recognized by the National Universities Commission (NUC), Nigeria. Do you want to find out the list of courses you can study at the University of Nigeria, Nsukka (UNN)? Below are the list of high-quality courses on offer at the University of Nigeria, Nsukka. This catalog is primarily for use by prospective students in search of Courses offered by the University of Nigeria, Nsukka i.e. UNN Courses. See also: UNN Post UTME Form.